10 Photorealistic Oil Paintings That Will Blow Your Mind! An artist at his best! Have you ever seen oil paintings that you thought were real photographs? It’s correctly said that an artist has an extraordinary power to show the world which is truly irreplaceable and today Reacho brings you an Israeli artist who creates incredibly realistic large scale portraits of young women in vast transcending landscapes. 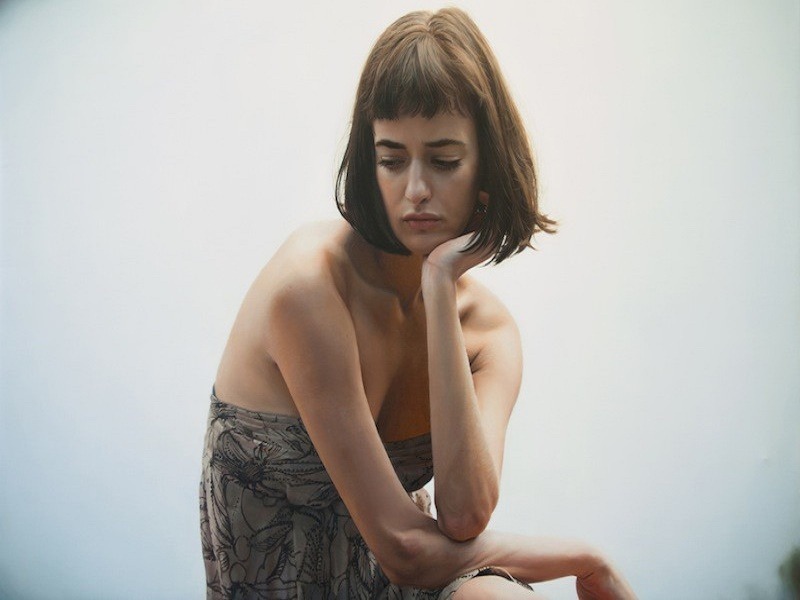 The following paintings are made by Yigal Ozeri and they are surely unbelievable and incredible. Yes all these are oil paintings! You can watch a video of Yigal Ozer’s exhibition below to know the scale of his work!